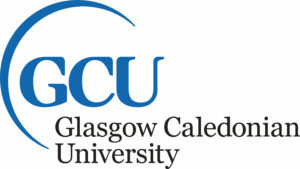 Established in 1993, Glasgow Caledonian University (GCU) is Scotland’s third biggest university, home to more than 20,000 students. Situated in the heart of Glasgow city centre, the University enjoys the recent £45million invested in state-of-the-art facilities in its modern campus. Cited as one of UK’s ‘dynamic and innovative” higher institutions, the University is consistently ranked among UK’s top 10 Modern Universities. Glasgow Caledonian University takes pride in its ultra-modern, award-winning Saltire Centre; the focus of learning and student services that offers one of Scotland’s finest learning environments. The current Chancellor is Nobel Peace Prize Winner and Global Anti-poverty campaigner Professor Muhammad Yunus. 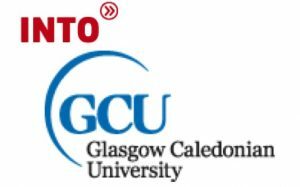 In order to help students secure the best opportunities for work placements and internships, Glasgow Caledonian University has links and partnerships with various multinational companies (MNCs), organisations and public sector. GCU’s career-focused courses resulted in the University attaining outstanding employment rate of 95% (DLHE, 2015). The only university in Scotland to offer Optometry and Vision Sciences. Suitable for Polytechnic Diploma applicants in Occupational Therapy and Physiotherapy. Degree-conversion. Non-relevant Diploma holders such as Sports Science are also welcome to apply. The university is highly ranked among the top 10 in the UK in various subjects which includes Biological Science, (3rd), Building (9th), Complementary Medicine (2nd), Food Science (4th), Forensic Science (9th), Medical Technology (7th), Ophthalmic (5th),Physiotherapy (6th), Social Work & Policy (8th) and Surveying & Planning (9th) as according to the Guardian, Times and CUG Subject Rankings 2016/17.